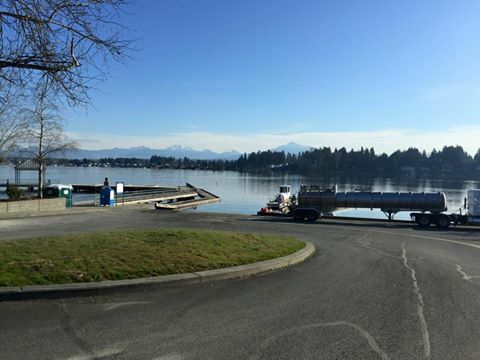 The City of Lake Stevens and Snohomish County will be performing the annual alum treatment on Lake Stevens to control phosphorus. Lake Stevens will be treated with alum on or between October 24th and 26th, 2017. The applicator will post signs in the treated and potentially affected areas no more than 48 hours prior to treatment. The signs will describe any water use restrictions or advisories. If you want additional notification prior to treatment, or have further questions, please contact leverett@lakestevenswa.gov. This treatment is regulated by a permit through the Washington State Department of Ecology. Lake Stevens wouldn’t be Lake Stevens without the lake. And because of that, we're taking steps to ensure that the lake is here for many generations to come. Two of those steps are managing the Eurasian Milfoil (invasive species) and algae (natural occurrence). Our partner in milfoil management, Aquatechnex, is a fully integrated lake and aquatic plant management firm that operates primarily in the Western and Upper Midwest states. Their team evaluates the Eurasian Milfoil growth present in Lake Stevens and sets the treatment date and locations. The following link will connect to Aquatechnex's Lake Stevens treatment page: www.lakestevensmilfoil.wordpress.com. Blue-green algae bloom June 2012 The City and County have developed a Phosphorus Management Plan to address how it plans to control high nutrient (phosphorus) loadings in Lake Stevens which is resulting in unwanted algae growth. The treatment in the plan is to use Alum to reduced the phosphorus levels in the lake close to the naturally occurring levels. A technical report was prepared by Tetra Tech and can be view at this link. Algae blooms are a natural occurrence in Lake Stevens and is important to the productivity of Lake Stevens' eco-system. Algae is part of the food chain that feeds small life forms that in turn provide a food source for fish and so on up the food chain, meaning most algae are desirable for lakes. Some algae, such as filamentous green algae and blue-green algae, are not desirable and have resulted in concerns with Lake Stevens. Both of these types of algae thrive in a nutrient-rich lake. The Fiamentous green algae, while generally harmless, can interfere with boater access, recreation, and aesthetics. This type of algae produces thick mats on the water's surface. Blue-green algae are actually bacteria and are of greater concern than true algae because some species can produce potent toxins. While not all blue-green algae is toxic, it is best for people and pets to avoid contact with surface sums whenever a blue-green bloom is suspected.